Grab your sword and shield, and step into rank as you prepare for battle with the Kettle Hat Helmet. 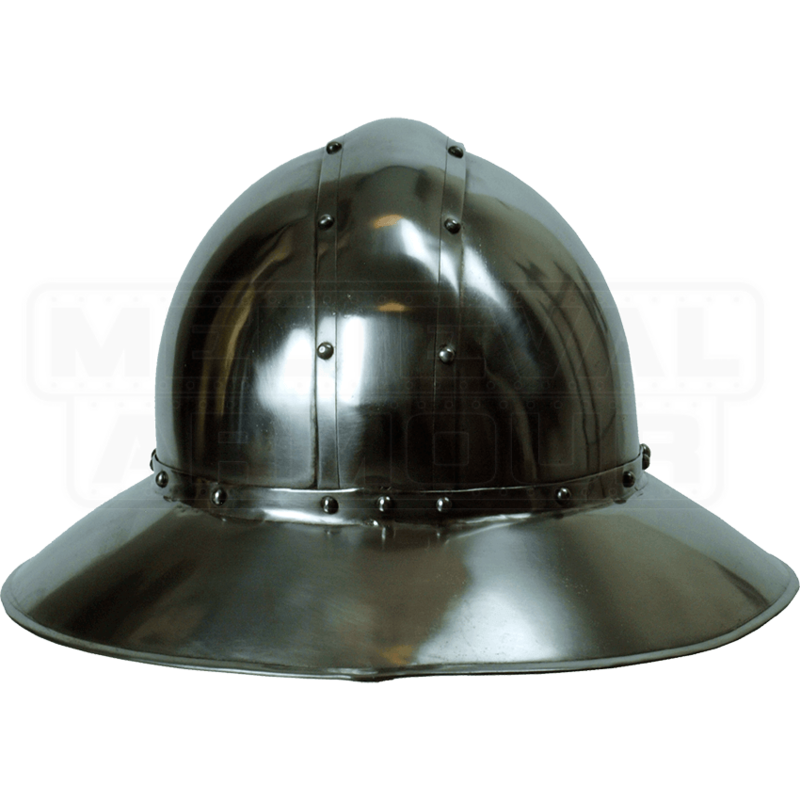 This stunning replica helmet can be a great addition to any costume that requires an authentic and distinctive medieval style. This archer-inspired armor is crafted from 19 gauge steel. There is a reinforced band across the centerline of the helm for added durability and an internal liner for comfort. The curved brim easily blocks light from your vision and reinforces the authentic look of this item. 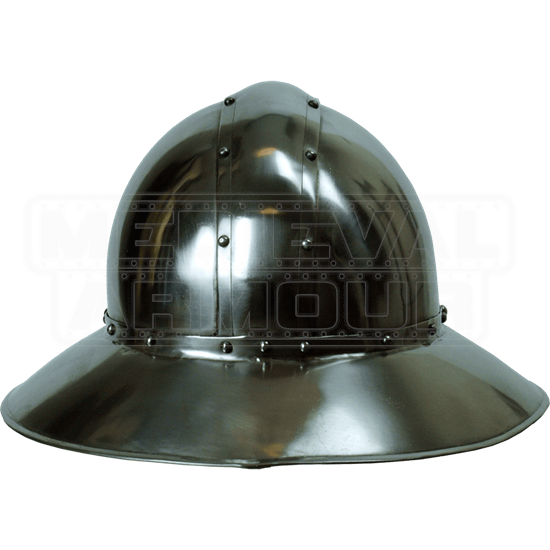 This classic design offers the owner a strong helm for light-weight combat, so be sure to grab a Kettle Hat Helmet while you can. Medium: Fits a 23.6 Inch Head Circumference and weighs 3.3 lbs. Large: Fits a 25.6 Inch Head Circumference and weighs 3.5 lbs.